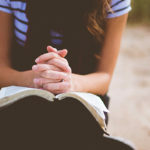 This post is the second in a series from Carrie Hunt about her online women’s Bible study group, “Becoming a Bible Nerd.” Be sure to read part one: Starting a New Kind of Women’s Group. I come from a very small rural community in Texas and was blown away when our online women’s Bible study community grew to over 650 women in three months. (Update: we now have over 1,000 members!) I have seen change in the women in my circle that I am so thankful for. I hear women in the foyer of our church or in small groups asking one another “What commentary are you using?” and “I wonder how far it was from Galilee to Tyre and Sidon?” Often, another woman will know the answer. This is not the average topic of conversation for women, but what I am seeing is that they are clearly hungry. What exactly is it that these women are hungry for? First and foremost, women are often busy and stretched thin—even more so if they have children in the home. They rarely have time alone, and when they do, sometimes they just need to sit and stare. This is why an online study on social media is attractive. The short, 15-minute lessons are great for any woman on the go. She can watch live while sitting in her pajamas before the children wake up, or she can watch later while getting dressed or even while sitting in the pick-up line at school. There are many elderly women who cannot make it to church or small group but are just a click away from Bible study on their phones. The convenience of having it available online makes it accessible by anyone anytime. Another thing women are looking for is community. The Facebook Live feature allows members to communicate about the post during the lesson. They can ask questions, say hi to friends they know, or comment about what challenged them or moved them during the study. 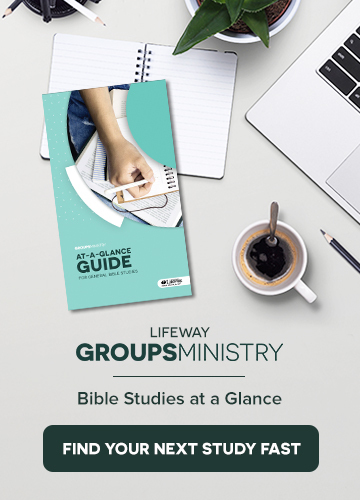 Since the lessons are taught within a group, page members can also post for prayer requests, share new commentaries or study materials they found, or ask questions related to the study. Women can find a thriving and supportive community online through this common interest. Finally, as teachers of God’s Word, I think as a whole we have underestimated the hunger women (and, indeed, all Bible students) have for history, geography, and research. I will admit that there have been occasions in the past when I would read the name of a person or place and hear Charlie Brown’s teacher talking in my head—blah, blah, blah. But I needed to learn that every word in the text is meaningful and important. I too assumed that most women do not care about history or geography, but I am realizing they do care—the key is how it is presented to them. It must be taught in a way that is relatable. Women (and, again, most small group members) do not want theology, geography, and history presented to them by someone who makes it sound like a dissertation or a lecture—dry, stale, time-consuming, or boring. The teaching needs to be as laid back as a conversation over a cup of coffee but also full of content that is interesting and that makes Scripture easier to understand. The best feedback I receive from women is often about the Jewish culture and background information that they have learned. This content is the key to connecting 21st-century American woman to first-century Jewish men. It not only gives clarity but also brings the text alive for these students, leaving them more in love with God’s Word and more in love with Jesus. I love love love this bible study. Understanding the”then” aspect of life helps to follow Christ in the “now.” Thank you Carrie for the fires you are lighting! I love becoming a bible nerd small group. It has taught me how to actually dig in the word. Before I didn’t understand a lot of things in the Bible so it was very discouraging to even pick up my bible. Now that Carrie has taught us what tools to use and how to read the Bible it just makes me want to dig deeper where now I’ll read my bible in the morning and after I put the kids to bed! Thank you Lifeway for publishing this. She is an amazing asset to the online women’s community and I look forward to reading anything she writes! I have followed this study from the beginning and love it for all the reasons above. It’s offered on a site I visit multiple times a day anyway so why not get my dose of Jesus right there as well! And holding Carrie in the palm of my hand (on my phone) makes me feel so connected to her, like it’s just her and I discussing this day’s topic. I’ve even caught myself worrying about what I look like for her when I roll out of bed to catch it live but quickly remember she thankfully can’t see me. Nonetheless, this study has changed the way I read scripture and I was already a lover of the Word. Thank you for sharing this arty! 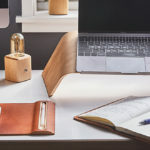 God’s word coming alive taking on even greater meaning in our everyday lives – looking at the context in which Jesus and his disciples were speaking just opens all kinds of questions and learning where to find the answers. The Word of God is rich and alive and when it lives in you, when you’re passionate about it, you share it. This bible study has created a whole new love of studying the Bible for me! I finally truly enjoy studying the Bible because I have learned how to dig deep and study! I look forward to her teaching each week! And find myself spending more and more time digging into the word on my own. I love being a part of this Bible study, and I would agree about the Jewish culture and background info that Carrie shares. Learning little tidbits about Jewish culture has been so eye-opening and has made me understand so much more. I’m so thankful for this study/community. I’m reading and studying my Bible in a whole new way. Carrie is not only leading a study, but she’s teaching how to dig into the Word and what tools to use. I have loved Carrie’s studies! I love that my children see me studying the Bible outside of church on Sunday. I enjoy a normal conversation with a friend about daily chores turning into our take on the information we studied or the video. I love knowing more about God’s word than I did the day before.